Celebrate your success with us in Vienna! ICC Austria and The London Institute of Banking & Finance would like to honour and therefore invite all graduates of the CDCS & CSDG from 2018 to a Graduation Ceremony. 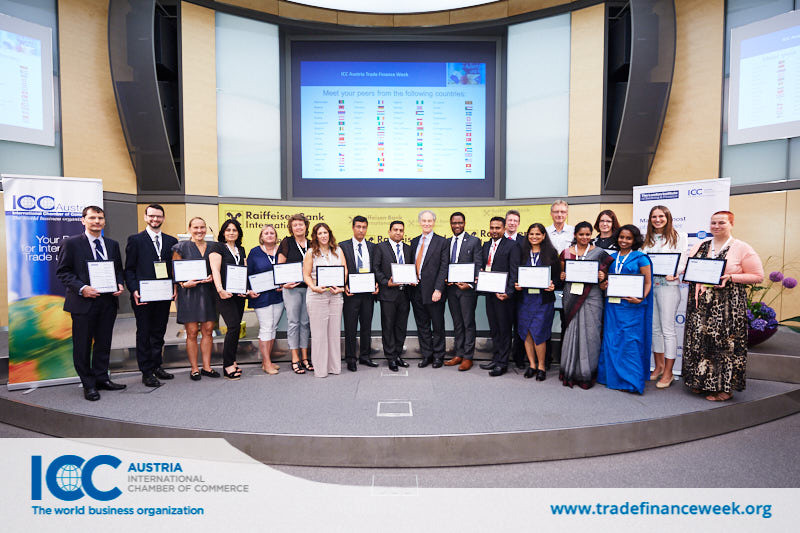 It will take place in Vienna on Wednesday 22 May 2019 after our Case Studies on Demand Guarantees and Letters of Credit during ICC Austria’s Trade Finance Week. During the day you will be able to attend the conference session: Case Studies on Bank Guarantees & Letters of Credit. This conference session gives you the opportunity to earn 6 PDUs towards Recertification, as well as networking time with 120 peers from 40 countries to discuss real-life cases with experts. It is designed to foster mutual understanding among the LC specialist and Bank Guarantee experts discussing real life challenges and business realities. All cases and questions are submitted by the participants of the conference. Send your own cases – anonymously if you like - to be analysed and discussed to e.treu(at)icc-austria.org. Graduation tickets cost just EUR 75 which includes entrance to the conference Case Studies session. Case Studies attendance for non-graduates is EUR 590. We are also offering our graduates an exclusive 20% discount off the 2-day conferences taking place during Trade Finance Week. Day 1 and 2 are on the topic of Bank Guarantees and Day 4 and 5 on Letters of Credit. The earlybird rate for either conference if booked before 22 February is EUR 664, or if booking after this date, EUR 832. To register, complete the registration form and submit by email to ICC Austria.